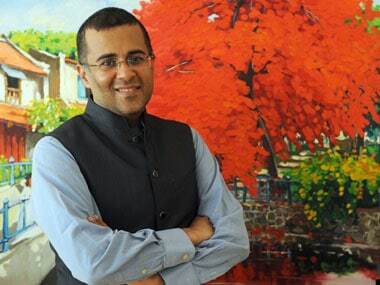 Chetan Bhagat - Is His Success About To Evaporate? Chetan Bhagat for the past decade has been an Indian publishing powerhouse. But is his reign about to come to an end. We look at the emerging stars that may take over Chetan Bhagat’s title as being India’s most successful author. 2016 was another great year for the author, with a best-selling new novel by him — and dozens of others by his successful and not-so-successful imitators. According to reports, One Indian Girl, outsold every other book published in the country in 2016. Snobs may laugh at Chetan Bhagat’s cheesy plots, feminists may outrage at his attempt to appropriate a woman’s voice, but you can’t deny the proud march of his books up the bestseller charts. As for the rest, Juggernaut Books made a splash with its app-based and physical publications. Their list offered a steady flow of titles, some of which seemed to redefine the traditional parameters of a book. A good many were only a few thousand words long and meant to be consumed on the go rather than leave a lasting impact — which proved to be the case anyway. The more mainstream publishers had the usual mixed bag of commercial fiction and non-fiction, with the last embers of literary fiction flickering in the wilderness. Of the 500-odd new books in English that were published last year in India, we picked out a few that you shouldn’t miss. While most of the above selection comprises Indian authors, is there a market for English authors in India? English Authors – Can They Compete with Chetan Bhagat? In a word yes. India’s readers have long been favouring their own authors but with the influx of westerners taking up residency in India, so too are their reading habits. India is now waking up to the world of literature outside of Indian authors and feasting on an appetite of western writers. Jeffrey Archer has been a well read author in India for many years. Thriller writers such as James Patterson and Lee Child are growing their readership amongst India’s 50 million+ English readers. They may not wrestle the mantle away from Chetan Bhagat this year but his reign is under fire. Juggernaut Books have moved to dominate this market. India readers love short reads that can be devoured in a single sitting. With English language a minority, short stories help new India readers get into books from the west. 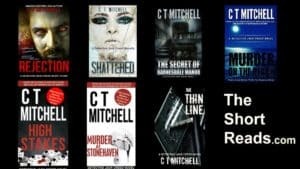 Australian mystery thriller and suspense author, C T Mitchell, recognises the importance of short reads especially in an emerging market like India. “Short reads are fast paced, maximum entertainment and are ripe for a market such as India” C T Mitchell, an author of 18 short reads, commented. “My short reads have been #1 in category many times on Amazon UK & US markets, outselling Jeffrey Archer, Peter James and Ann Cleaves on occasions” he said. Recently signed with UK publishing powerhouse Austin Macauley, C T Mitchell is looking to his publishing partners to capture the growing short reads market in India. “It’s very exciting” Mitchell went on, “to partner a forward thinking group like Austin Macauley when looking to tap into the India market”. C T Mitchell has recently been accepted into the prestigious Crime Writers Association UK which is also a first for an Austin Macauley author and should aid his acceptance into a foreign market. Amongst Mitchell’s high selling short reads, he has recently added a new amateur woman sleuth to his stable, particularly pointed at the India reading market. Selena Sharma features in the first two of four short reads in the Selena Sharma Mysteries and she has already won the heart’s of thousands of readers. Murder By Butter Chicken and Murder of a Bollywood Queen opened as Top 10 entrants in the Amazon US and AU markets with the Australians pushing sales up to hit #1 in category. Chetan Bhagat is safe for the moment but C T Mitchell and other western authors are knocking on his door. And so it Bollywood. Detective Jack Creed, Mitchell’s most successful character, is a television series waiting to happen.